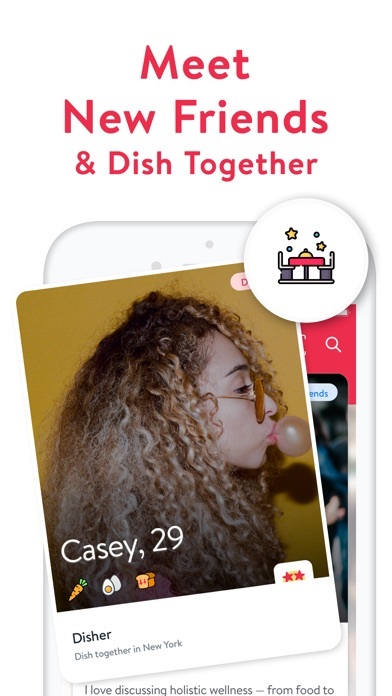 HowUDish is a lot like a traditional dating app such as Tinder where you swipe left or right if you like or dislike a particular recipe. Very community driven and interactive. Straightforward and easy to understand interface. As with most apps, the better features require a paid account, which is always a put-off of sorts, especially if you haven’t used the app all that much yet. Overall, a fun and informative app whose long-term viability is connected to how engaged the users keep themselves. Also, there seems to be a lot of opportunity to have restaurants boost their particular presence with paid or sponsored exposure. As a full time Registered Dietitian I teach weight management classes and counsel patients daily on how to make healthier food choices. One of the most difficult aspects of sticking with nutrition changes seems to be dining out. This app is awesome at providing a resource to find healthier restaurants. I really like that it provides a variety of dietary options (low carb, vegetarian, low calorie, low fat). This makes it super simple for users to search for specific dishes based on their dietary needs. There were many choices available to pick from in my area. The app is still new and it will be expanding more. If you purchase the premium edition you have access to healthy recipes too, which is a great resource for someone who is trying to get healthy. Overall I think it’s a great app and I will be sharing it with my patients! Overall, I think the app is great for those who eat out frequently and are trying to focus on specific aspects of their nutrition. 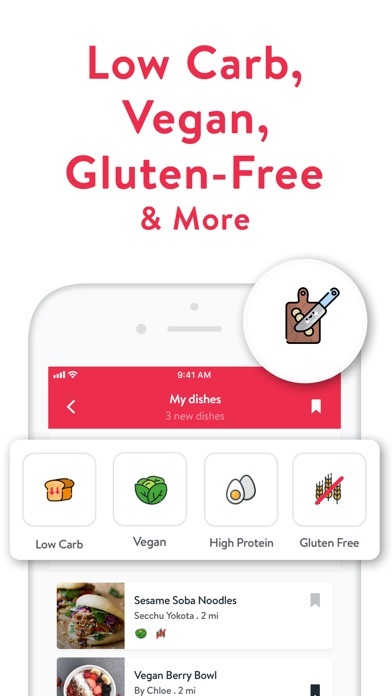 The app allows you to select a few dietary restrictions and filter results based on your preferences. Additionally, with a premium membership, you can follow professional athletes and how they eat. I would like to see a few additional dietary modifications to choose from, such as the top 8 common allergens. This would make it easier for those with food allergies to be able to enjoy a safe meal away from home. It is helpful that you can find an estimate of the nutrition information from a certain meal right through the app. However, I did come across a flan that the app ranked as “low calorie” because according to the average recipe, it should have less than 500 calories. A quick visit to the restaurant’s website showed me there were more than 900 calories in that flan! However, if you come across something like this, the app allows you to report it so they can look into and correct the information. There also seems to be a feature that will allow members to select whether they are interested in friendships or relationships. The app will occasionally show you another member’s profile and you can swipe and contact them if interested in eating together. Part of me thinks this is kind of brilliant but the other part of me finds this to be a little too much like Tinder. Then again, I am not looking for anyone to dine with. The community seems to be very engaged and active, with sharing recipes, dining experiences, and health goals. I can see that people would want to connect on an app like this. 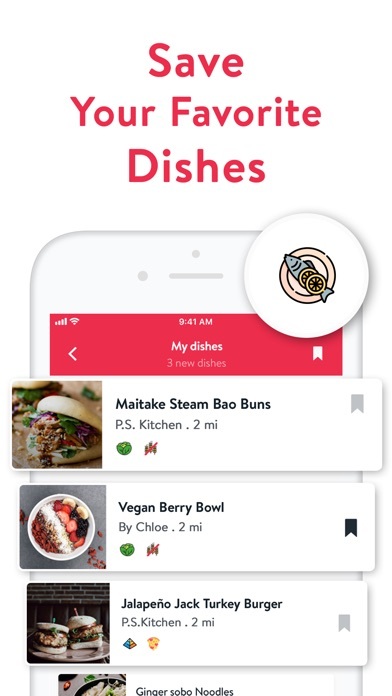 HowUDish is the perfect app for people who are really into food. Whether you’re on a strict diet, follow a vegan lifestyle, or have health-related restrictions...this app has it all. It helps you stay healthy while you eat out, find other people to share a meal or recipe, and even order in. I’m so impressed with how many features the developers included. So many people could use this valuable tool to make cooking at home tastier, and eating out more fun. 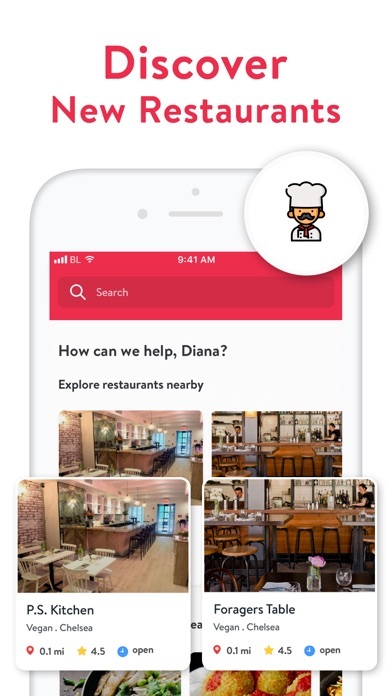 HowUDish combines the best features of a restaurant review site with an involved community and a cooking app that offers recipes for your favorite dishes. It’s got a lot to offer for a free app One of the hardest things for me when dieting is the loss of my social life. I hate saying no to every invitation because I know I don’t have the willpower to go out without indulging. 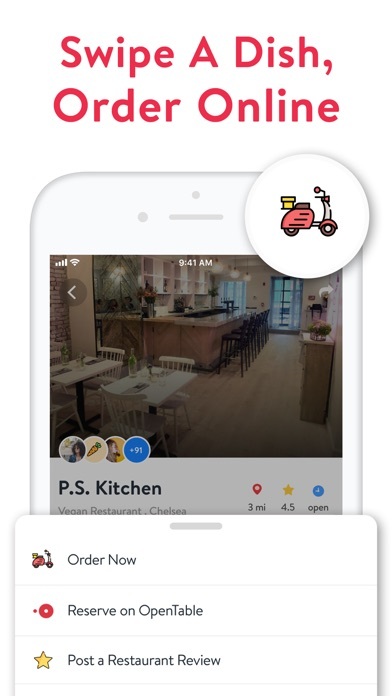 HowUDish lets you plan ahead, choose a meal that’s appropriate before you get to a restaurant, and you get to go out with your friends! 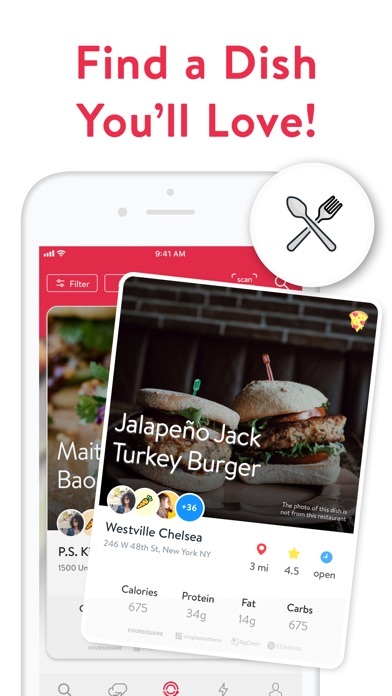 When you set it up, you just choose from low-calorie, low-carb, low-fat, balanced, high-protein, high-fiber, gluten-free, vegan, and vegetarian.I chose “foodie” which doesn’t limit any dish but still lets you connect with other people and see full menus. You can save money by eating at restaurants with sponsored dishes or build a list of places to eat when you have no inspiration for where to go. What stood out to me upon joining HowUDish The community is so engaging and welcoming. Within the first day of joining, I had ten people welcome me and ask me to share my goals, recipes, and interests. One thing I would like is if everyone used real profile pics, but I know that’s unrealistic. I just think it’s easier to connect with people if I can see their faces, but that just motivates me to meet up with a local group! Stability It worked seamlessly on my phone and never crashed once during usage. In terms of phone storage, it comes in at 90 MB, which is about the same as other social apps like Instagram, Retail Me Not, or Nextdoor. The app gives users the option to enable location services all the time or only when using the app so you can limit battery usage. Upgrade options The app itself is free to use and includes a one-month free trial. You can add Premium features for $0.99/month or $9.99/year. Upgrading lets you change your location, add a cheat day, and is ad-free. There’s also a version that lets you follow pro athletes to see how they eat and stay fit. Ever wanted to see how the worlds top athletes eat and treat their body? Now you can. 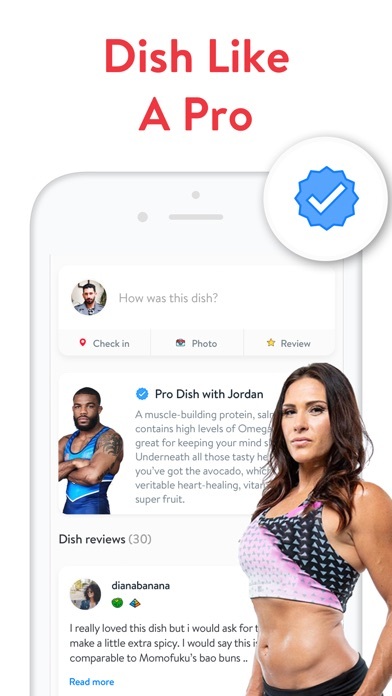 This app is great in that it lets you find restaurants to eat at which fit your ideal diet and it shows you how to eat like your favorite athlete. I found that this app has a lot of potential. As a RD, I hear from clients that they often struggle with sticking with their diets when they go out to eat, I think having an app that allows people to plan ahead when they are going out to eat, so they can stick with their diet, would be very helpful. However this app has a lot of growing/updates it still needs to do. I found that the nutritional information/pictures for menu items is lacking. Nutritional information/ingredients for dishes can change so much from place to place and I feel like some of the nutritional information on this app can be deceiving. Also I believe that once they can update pictures to actual menu items this will help. We eat with our eyes first, and people often base food choices on what it looks like. 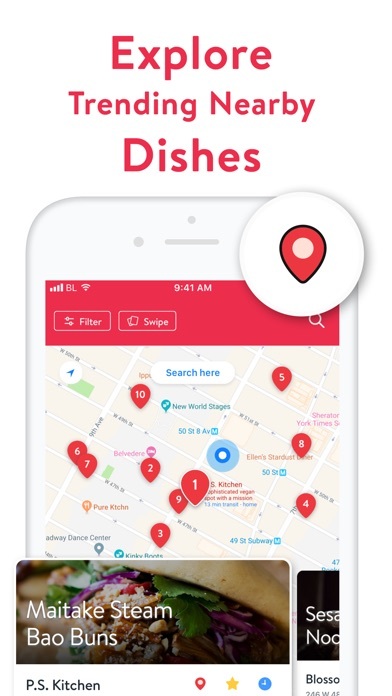 Overall the app is easy to use, and I hope with more time and updates I can recommend this app to clients to help them when they go out to eat. I like that signing up is easy and user friendly with the option to log in under Facebook name instead of email. I like that you can set food preferences as far as meals : low cal, low carb, vegetarian, etc. and that you have the ability to make reservations online! The food graphics could be a little more appealing (poor quality and look outdated). I don’t like that the pictures of food aren’t from the actual restaurant- could set up customers for disappointment. Overall it’s a great idea and being able to share pictures and recipes within the app community is very convenient. I think this app does a great job identifying local food options that try to identify your nutrition goals. I had trouble using app without location services on—I just wanted to enter my location. 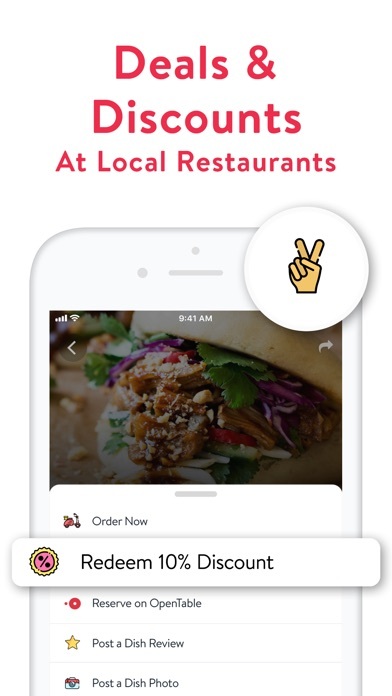 I checked a few local restaurants and the nutrition data the restaurant posts online and as a Registered Dietitian feel this part of the app could be improved upon. It clearly states the nutrition info is similar to other like items however there were major calorie and carb differences in the two menu items I reviewed from two different restaurants. It’s a good app to help narrow down your restaurant choices by diet goals but I would defer to the restaurants published nutrition info for accurate nutrition data. I really like the format off this App. I like the idea and how simple the App is to navigate through. I would put a little more athletes in the food diet options ranging from all different sports. This app is great for on the go people & also has a easy way of finding recipes and meals that are meant for you. I think this app can help you eat healthier & find things that fit your type of diet. Great App!